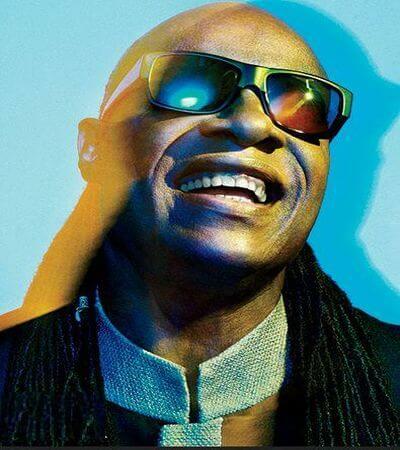 Stevie Wonder is certainly the genius with more magic of the music of our time. A man unique, with an exquisite sensitivity conveying emotions flowing through delicious compositions performed masterfully. "With each beat of my heart", is one of them. It belongs to his 1987 album Characters, farther from their previous albums more poppy style and aimed at a black urban public, it being lifted for 7 weeks in the lists of the Billboard R&B, and getting two number one R&B singles. Stevie Wonder envelops us and conveys pure emotion through the rhythm built by the beating of his own heart. With the touch "Wonder" what always gives his compositions, and playing all the instruments, exudes an absorbent melody, a passionate letter and a delicious harmony that breaks down barriers and grabs you with all the magnetism of a genius. Decade by decade is the magical way in which Stevie synchronized with the listener emotions. This May 13 on his birthday, again congratulate and thank to Stevie his generosity and passion to continue thrill us and make us feel alive, very much alive.